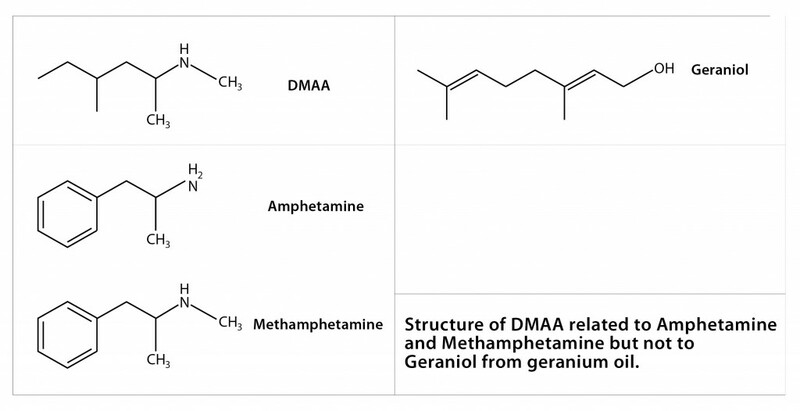 Molecules of drugs, DMAA, Amphetamine Meth (left), compared to Geraniol (not a drug) on the right. "A dietary supplement company has destroyed $8 million worth of sports nutrition products in response to a crackdown by the U.S. Food and Drug Administration on a controversial stimulant ingredient called DMAA. "Beginning in April 2012, the FDA issued warning letters to several dietary supplement companies notifying them that products containing DMAA were illegal and needed to be removed from the market or reformulated. 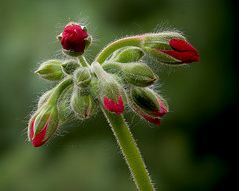 Although DMAA was called geranium extract and touted by some makers as an all-natural stimulant, the FDA said it was really a drug that could not legally be put in supposedly all-natural dietary supplements.